Welcome to 100 Notice Board Quests for a Curious Adventurer – a fascinating list of mini adventures or quests and helpful activities that can benefit both the local townsfolk and the adventurers by ridding the town of various troublesome elements or assisting random townspeople and building goodwill. Plus, having a job notice board will add color and excitement to the time your players spend in the tavern. Many fantasy campaigns end up in a town or tavern between adventures. Rather than just have this portion of your campaign be nothing more than a check mark, a pause if you will, between two quests, why not liven it up and make it memorable? My musician got sick and I need a replacement for tomorrow afternoon. Must know children’s birthday songs. Willing to pay well. Contact Helena Harop at Alban’s General Store. On its surface, it could be a fun little gig for a bard. It helps a parent out, gives the bard another audience and exposes the bard to many other families in the town that could result in further work and good will for the bard. However, it could be much more. Perhaps the other musician got “sick” to cause a disruption or rescheduling of the party so he and his friends could stage a robbery while things are disorganized. Or the other musician is really sick but something valuable goes missing during the party and you are the obvious one to blame. Or one of the children’s parents takes offense to one of the songs you sing and decides to get into a heated argument with you. Or you performed the birthday party so well, you get branded as a birthday entertainer. Suddenly, you discover that the only gigs you can get going forward are just birthday parties. No one is willing to view you as a serious performer for adults. 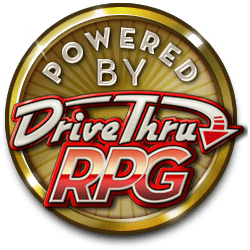 This list can be used to either choose a random quest by rolling a D100 (or 2 D10’s) or by actively choosing a particular event to fit a particular campaign setting or goal. Take any item on the list, apply a little imagination and let the adventure unfold. May all your adventures be spectacular!